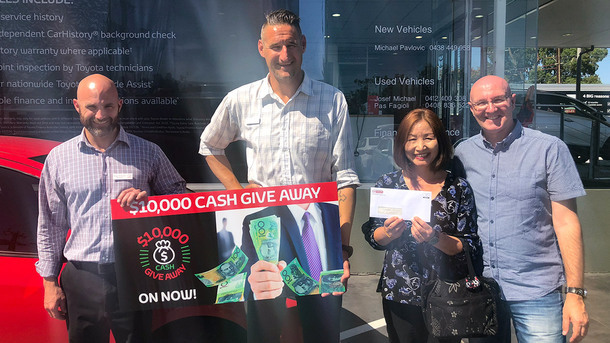 The team at CMI Cheltenham recently had the pleasure of presenting Robert and Toyoko with their $10,000 cheque after they were randomly drawn as CMI Toyota's $10,000 Cash Give Away winners! 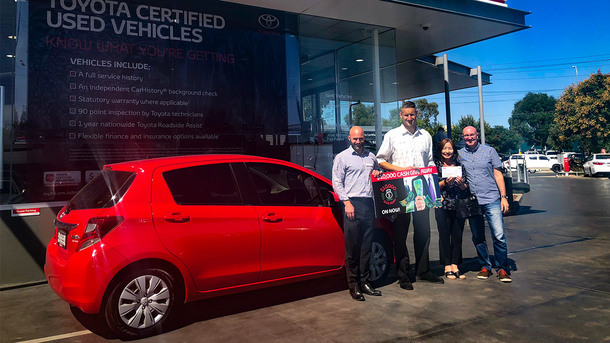 After purchasing their new Toyota Yaris from CMI Toyota Cheltenham over the 4-day sale period, they received the call from Regan, CMI Cheltenham Branch Manager who had the exciting news that they had won $10,000 Cash! 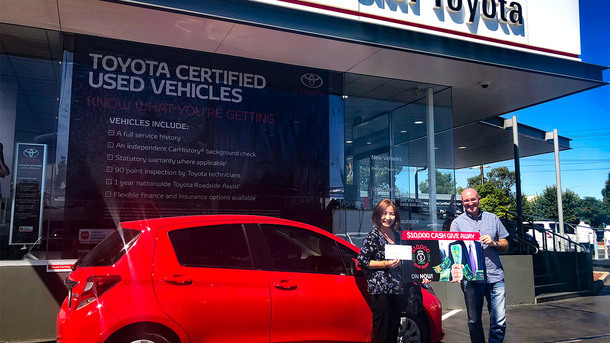 Welcome to the CMI Family Robert and Toyoko and we wish you many years of safe and happy driving!